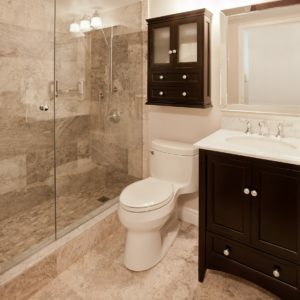 Toilets are among the busiest utilities in the home. On average, a person flushes the toilet about 5 times a day and utilize 3.5-7 gallons of water with every flush in a standard gravity toilet. A high-efficiency toilet can help minimize your total household water usage. Advances in technology have created a wide range of toilet options for homeowners. If a strong flush and water efficiency are a priority, consider pressure-assisted toilets. Read on to find out more about this toilet model. The standard gravity toilet features a tank containing water. While a pressure-assisted or power flush toilet has a similar tank, the tank itself does not contain water. The tank of a pressure-assisted toilet contains a smaller tank that holds a pressure device. When you flush, the pressure device traps air and is partially filled with water. The pressure from the water line compresses the air in the device and forces water into the toilet bowl. The pressurized mechanism of a power flush toilet pushes waste down further into the sewer. Pressure-assisted toilets are a relatively recent but on-demand innovation. Installing this type of toilet in your home has several advantages. A common problem with standard gravity toilets is weak flushing, sometimes requiring you to flush more than once. Pressure-assisted toilets have a remarkably strong flush, which eliminates the risk of clogging. If you have an old gravity toilet that is prone to clogging, look into replacing it with a powerful pressurized toilet. An old standard gravity toilet can use as much as 7 gallons per flush while dual and single flush-flow toilets use up to 1.6 gallons for every flush. Power flush toilets use about 1.28 gallons, making them comparably water efficient. Because power flush toilets are less prone to clogging and breaking down, they do not require regular maintenance and repairs. The main disadvantage of pressure-assisted toilets is the noisy flush. Manufacturers of these toilets are hard at work developing power flush toilets with quieter operations. To minimize the noise in a pressure-assisted toilet, close the toilet bowl lid before flushing. Bear in mind that a pressure-assisted toilet may require a powerful push of the button to flush. Young children and family members with limited strength may have difficulties operating such a toilet. The cost of purchasing and installing a pressure-assisted toilet is considerably higher than a standard gravity toilet. The main expenses include material and labor costs. Unexpected events such as leaks can add to the installation costs. Speak to your plumber about the exact cost of installing a new toilet and what you should expect from the remodeling process. If water conservation, efficient flushing, and keeping your plumbing lines clean are vital for your household, then a pressure assist toilet may offer a good return on investment even if the initial costs to install the toilet seem high. No one likes a clogged toilet. If yours have a busy household, you probably have to deal with backed up toilets more often than you would like to. Consider replacing your standard gravity toilet with a pressure-assisted model for a longer-lasting solution to toilet and sewer line clogs. 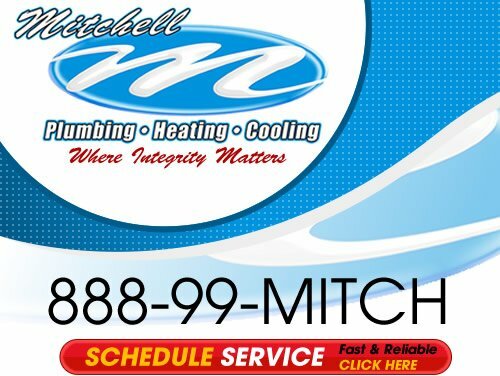 If you are considering a bathroom remodel, including the installation of a new toilet, look to the expert plumbers at Mitchell Plumbing, Heating, and Cooling. 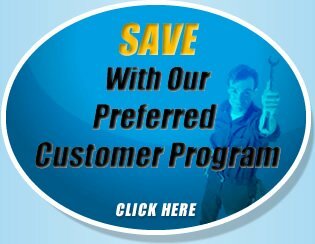 We offer innovative, reliable, and affordable plumbing repair solutions to provide you and your family the comfort you deserve. Get in touch with your Pittsburgh plumber today to learn more about installing a new toilet in your home. If you are looking a Pressure-Assisted Flush Toilet specialist in the Greater Pittsburgh area then please call us at the numbers listed below or complete our online request form.